Mia, Art, Dillon & Sadbh made their way to Lisburn for the Douglas Huston Ulster Open. 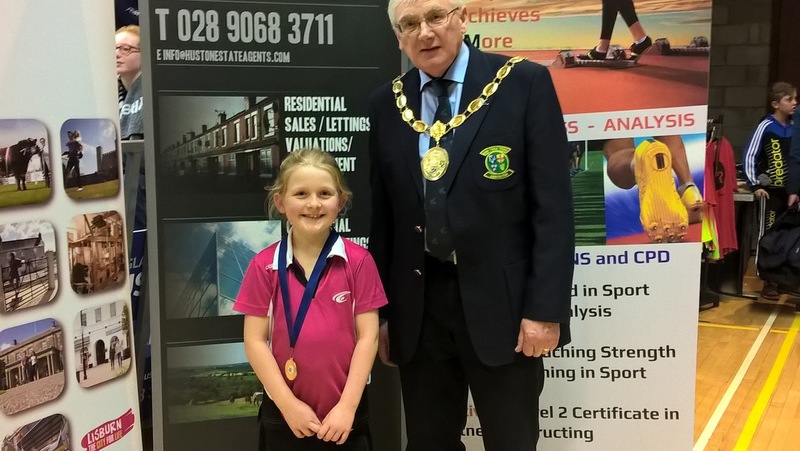 The event attracted top class junior and senior players from Ireland as well as abroad. Art & Mia played the Men's and Women's singles on Friday evening with Mia qualifying through to the final stages on Saturday. 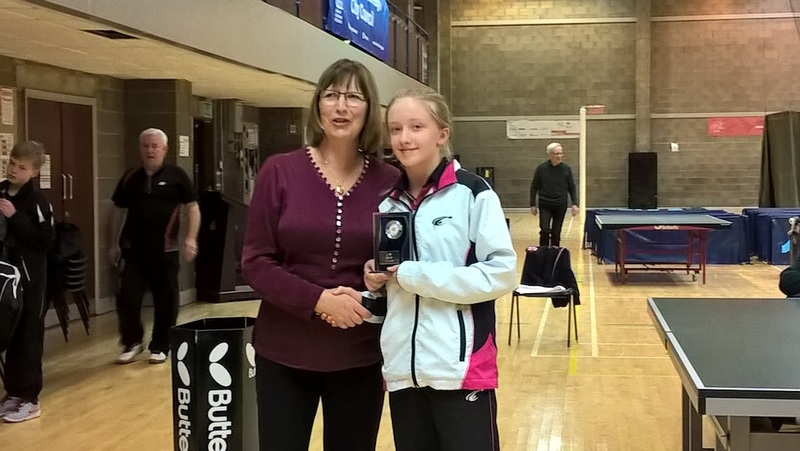 She beat the Ireland number 1 to qualify for the semi-finals against the Welsh no. 1 who knocked Mia out and went on to win the trophy. Mia, Art & Dillon played in the U15 events on Saturday while Sadbh took part in the U11 event. 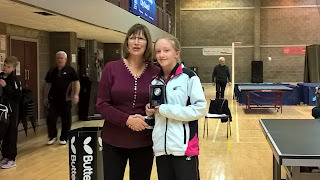 Mia got through to the final beating Natasya Barry of Connaught to take the U15 gold. In the boys event Dillon was knocked out of the quarter finals by Alan Pattison and Art played an exciting semi-final match against the Swedish player Jonathan McDonald. It was a close match which went to the fifth set. 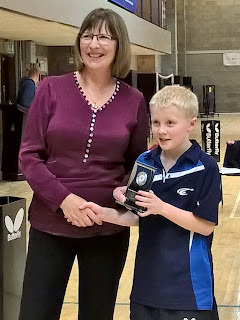 Art was knocked out but beat Alan Pattison for the bronze trophy. Sadbh won all her matches to win the U11 girls event. Art & Dillon paired up for the Men's Doubles event. 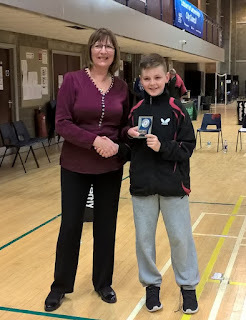 They went through to the consolation event after losing to Dylan Grace and Alan Walsh of Ballincollig but were knocked out in the final. Mia played the Women's Doubles event with Zofia Wawryzniak to win the consolation final. On Sunday, Mia played in the U18 girls and Art, Dillon & Sadbh took part in the U13 event. There were some great games throughout the day and Mia came through her matches with a second gold after meeting Nya Nyugen in the final. Sadbh played some great matches and took 2nd place in the Band 1 final of the U13 girls. Dillon & Art made it through to the semi-finals of the U13 boys to meet their old rivals David Taylor and Thomas Joyce from Connaught. Art beat David for a place in the final but it wasn't to be for Dillon who eventually took 3rd place position. Art and Thomas played a thrilling final which went to the fifth set with Art winning 11-9 to take the gold. Well done to all - you made the club proud!